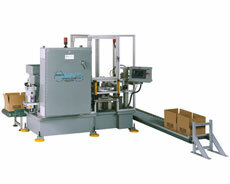 Parts conveyors are custom conveyor systems that have many uses. Some parts conveyors are designed to transport parts needed by the automation system from one area of the plant to another. These parts conveyors can deliver its parts directly to the appropriate parts hopper, feeder bowl or parts feeders. Other parts conveyors are designed to transport the finished parts coming out of the automation system to another part of the plant for usage or shipping. Dial-X Automated Equipment, Inc. has experience with all types of parts conveyors and can help you determine your needs and how to best solve them. Our parts conveyors are custom manufactured in-house. Medical and food grade steel is available. For further information or a free quote on parts conveyors, contact Dial-X Automated Equipment, Inc.